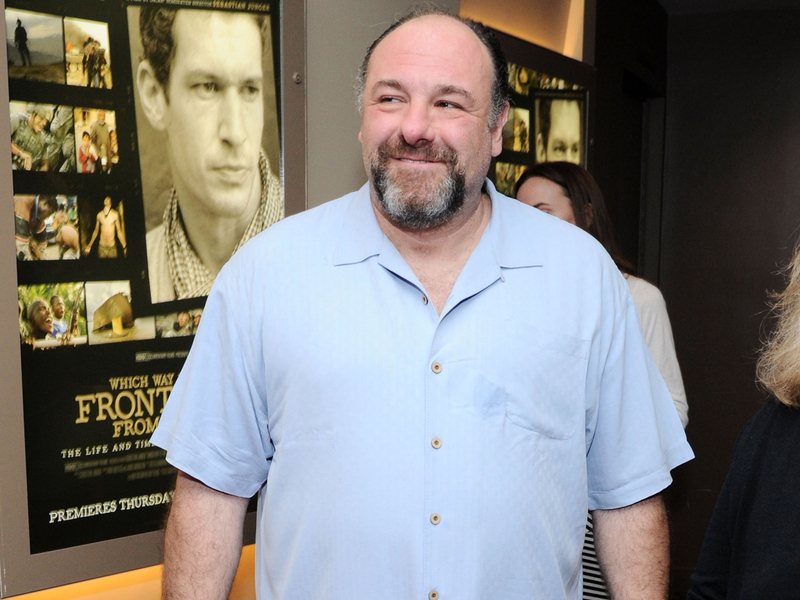 Stars are paying tribute to actor James Gandolfini, who died Wednesday at the age of 51. The actor was best known for his Emmy-winning role as a conflicted New Jersey mob boss on HBO's "The Sopranos," which ran from 1999-2007. David Chase, creator of "The Sopranos": "He was a genius. Anyone who saw him even in the smallest of his performances knows that. He is one of the greatest actors of this or any time. A great deal of that genius resided in those sad eyes. I remember telling him many times, 'You don't get it. You're like Mozart" There would be silence at the other end of the phone. For Deborah and Michael and Lilliana this is crushing. And it's bad for the rest of the world. He wasn't easy sometimes. But he was my partner, he was my brother in ways I can't explain and never will be able to explain." Edie Falco, co-star on "The Sopranos": "I am shocked and devastated by Jim's passing. He was a man of tremendous depth and sensitivity, with a kindness and generosity beyond words. I consider myself very lucky to have spent 10 years as his close colleague. My heart goes out to his family. As those of us in his pretend one hold on to the memories of our intense and beautiful time together. The love between Tony and Carmela was one of the greatest I've ever known." Jamie-Lynn Sigler, co-star on "The Sopranos": "This news has left me heartbroken. I can only imagine the pain his family feels at this time, and my heart goes out to them, especially Deborah, Michael and Liliana. I spent 10 years of my life studying and admiring one of the most brilliant actors, yes, but more importantly one of the greatest men. Jim had the ability, unbeknownst to him, to make you feel like everything would be alright if he was around. I treasure my memories with him and feel so honored that I was an up close witness to his greatness." Journey: "It's truly an honor to have been able to share one of the greatest moments ever in TV history with James Gandolfini. He was an amazing actor -- taken way too young -- and he'll be missed. Our condolences go out to his family." New Jersey Gov. Chris Christie: "It's an awful shock. James Gandolfini was a fine actor, a Rutgers alum and a true Jersey guy. I was a huge fan of his and the character he played so authentically, Tony Soprano. I have gotten to know Jimmy and many of the other actors in the Sopranos cast and I can say that each of them are an individual New Jersey treasure. Mary Pat and I express our deepest sympathies to Mr. Gandolfini's wife and children, and our prayers are with them at this terrible time." Brad Pitt: "I admire Jimmy as a ferocious actor, a gentle soul and a genuinely funny man. I am fortunate to have sat across the table from him and am gutted by this loss. I wish his family strength and some semblance of peace." John Travolta: "James went out of his way to come to Florida and he would not leave Florida until I was okay, or he felt that I would be fine [after his son Jett died in 2009]," he told "Good Morning America." "After a week I said, 'Jim you can really, you know, we'll be fine. I've got a lot of support here. But the idea that in our profession someone would go out of their way and not want to leave you until he felt you were okay, that's the kind of soul that James Gandolfini was. He was a people person first and then everything else." My thoughts and prayers go out to James Gandolfini's family. An extraordinary actor. RIP, Mr. Gandolfini. Oh James Gandolfini, you left us much too soon. Rest in peace, Mr. Gandolfini. so incredibly sad.... RIP James Gandolfini ... your work inspired and entertained... so incredibly sad. The level of sadness and shock I have today for James Gandolfini's death is indescribable. One of the true greats is gone far too early. So so so sad about James Gandolfini - 51 is way too young. Amazing outpouring of tributes to James Gandolfini - reflective of the huge impact he had as Tony Soprano, one of TV's greatest characters.